Currency Converter ($29.00) Convert USD EUR GBP NZD Loading Sorry, there was a probem with the currency conversion. Please try again. 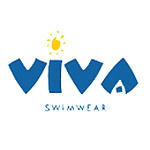 2019-05-26 Sea Jewels Plus Size Swimwear Australia In stock! Order now! Description: Our 3/4 cotton rayon pants with shirred elastic waist and ties at the bottom are the perfect choice to wear over swimwear or take these on holidays to wear with your favourite top to take you from the beach to a cafe. Pull on style. Very soft and comfortable. Available in black and white. Purchase one of each colour to complement any outfit or bather. Care Instructions: Easy care. Simply machine wash on gentle cycle. Cool iron.